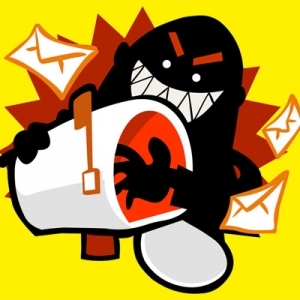 Is your email sending out mass-mail spam messages? Have you ever received complaints from people who’ve been sent unsolicited ads or obvious spam messages? 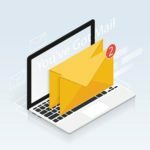 Have you ever received boatloads of bounced emails that look like they have been sent from your own account, even though you know you didn’t send them? 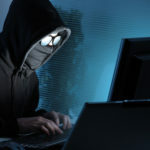 That’s a consequence of email spoofing – and it can be hard to stop. Email spoofing is online forgery. 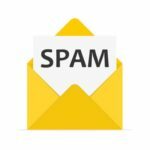 By faking the sender address in a spoof email they are able to make spam messages look as if they come from a trustworthy sender. This achieves two things. First, you’re more likely to open it. Second, it makes the contents seem more believable. The only good news about email spoofing is that your email account itself usually isn’t compromised. The spammers don’t need your password or account access for the spoof email con, so you don’t have to change your details. The problem isn’t hacking. Rather it’s a problem of existing mail transfer protocols. These have been slow to respond to the need for email authentication. Just because email account security remains intact doesn’t mean that email spoofing is harmless. It’s one way for cybercriminals to send links that will install malware on your computer. If you think the sender is for real you’re more likely to drop your guard and click on those links. It’s also a way to persuade people to reveal confidential personal information, such as bank account details, in the scam known as phishing. An experienced IT technician may be able to determine the real origin of spoof emails by finding the IP address of the computer it actually came from. This is unlikely to catch the spammer but it can identify the ISP (internet service provider) that the conmen are using. ISPs take a dim view of this abuse and can have the IP address blocked. Unfortunately, that doesn’t stop the spammers from doing it all over again from a different computer. It’s very difficult to stop spoofing attacks permanently. All spammers need is your email address. Instead, businesses need to take action to prevent them. 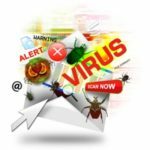 Because it’s easy to click on a dangerous emailed link in an unwary moment, ensuring you keep your anti-malware and antivirus software up-to-date is always a crucial measure to stop further hassles. Using different email addresses for different purposes can help a little to reduce your vulnerability to email spoofing. 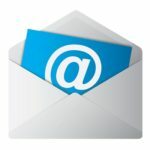 Use throwaway email addresses for unimportant online accounts. If you have to ditch them because an email spoof gets hold of it it’s not such a big deal. 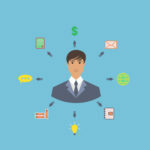 The email addresses you really need to watch are those that you use for important messaging, especially those that contain your name or that of your business. Typical spoof emails contain spam. Smart email users don’t just delete spam emails – they manually mark them as spam too. You don’t want the name of your business to become associated with spam emails in people’s minds. You don’t want your genuine mail to be auto-tagged as spam either, because they’ll be auto-filtered out and sent straight to the recipient’s spam folder. Awareness of the problems are the start to protecting yourself. Watch out for email spoofing. If you suspect that your email is compromised or spamming others, contact us at Quikteks at (973) 882-4644.